"Most Bulgogi recipes call for crushed pear. This is for tenderizing the meat. My boyfriend's Korean mother says Coca-Cola® can also be used for the same purpose. This recipe uses very thin-sliced meat so tenderization isn't necessary. Sugar is used instead." Delicious! 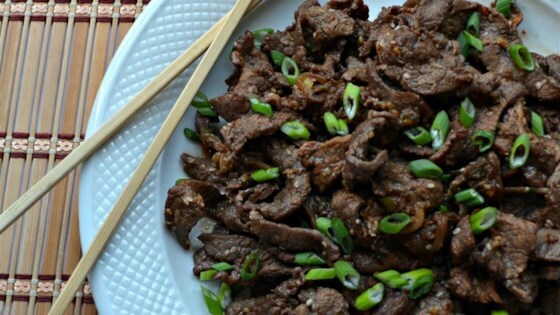 I've never had bulgogi before so I have nothing to compare it to but the flavor is amazing and it is easy to make. My whole family enjoyed it. I'll definitely make this again.